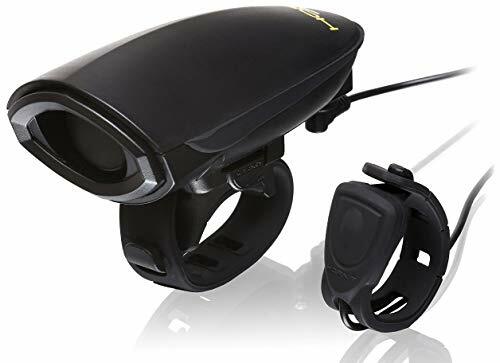 The patented Hornit dB140 puts the cyclist in control of their own safety with a cycle horn that rivals a jet engine. It emits a piercing 140 decibel sound to alert trucks, vans, buses, cars, and pedestrians of your presence. Compatible with all styles of bikes, including road bikes, it gives cyclist a way of letting all the other road users know where they are makes cycling much safer. It’s small, sleek and enables cyclists to alert distracted drivers and pedestrians to their presence. Included handlebar mount is compatible with Bikes, Scooters, and any other mode of transport with handlebars. Horn Dimensions: 3.8 x 1.7 x 1.65"
Remote Trigger Dimensions: .78 x .35"
If you have any questions about this product by Hornit, contact us by completing and submitting the form below. If you are looking for a specif part number, please include it with your message.